The Königswinter Conference was established in 1950 with the aim of improving the troubled relationship between Germany and Great Britain. It takes its name from the Rhineside spa opposite Bonn where the Conference took place initially. Since then the Conference has convened once a year bringing together around 80 German and British politicians, diplomats, business managers, academics and journalists for a profound exchange of ideas. Königswinter has created bonds and friendships helping to improve the understanding of policy differences on topical issues and challenges and to work towards common approaches. The issues discussed over the years have ranked from security policy, the Atlantic alliance, European integration, the future of the welfare state, education policy and the integration of ethnic minorities to international economic policy. The Königswinter Conference is organised jointly by the Deutsch-Britische Gesellschaft and its British counterpart, UK Koenigswinter. The Königswinter Conference takes place alternately in Germany or Britain, normally in spring or early summer of each year. The overall theme of the Conference is always a broad one in order to allow for exchange between participants of different backgrounds. The conference lasts for two days, beginning with a plenary discussion. Afterwards, participants break up into working groups devoted to in depth discussion of a specific topic, such as security issues or economic questions. The conference usually begins with a plenary discussion. Results of these working group meetings are presented in the closing session. The Joint British-German Steering Committee decides on the topics of the following year’s conference several months in advance, taking into account current political and social trends. This also ensures that there is enough time to select and invite suitable participants. 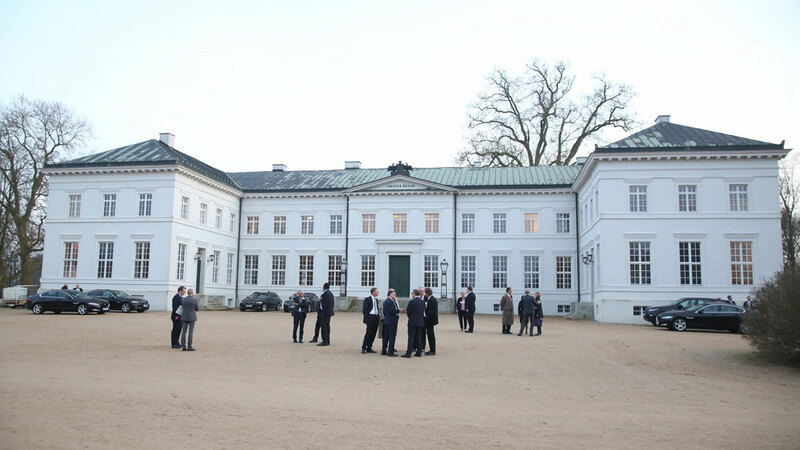 Participants are selected by the Königswinter Steering Committee, and invited by Königswinter UK, respectively by the Deutsch-Britische Gesellschaft, the organising bodies of the Conference. Moreover, the organisers gladly accept nominations of suitable candidates by former attendees, our partners and other stakeholders in public life. We will consider these recommendations depending on the candidates’ professional profiles and the conference themes. Over the past decades, it has proven useful to maintain a mix of “newcomers” and experienced participants with the aim of maintaining the spirit of Königswinter as well as promoting novel connections. The agenda covers topical issues, for example European integration, the future of the welfare state, the international economy, joint European defence policy or growing ethnic diversity and its implications for our societies. Working groups discuss allocated topics and report their results at the closing session. Please click here for past years’ themes. For conference reports please visit the publications section.